You'll love the all-natural, effective & pediatrician-friendly Premium Cloth Baby Wipes. 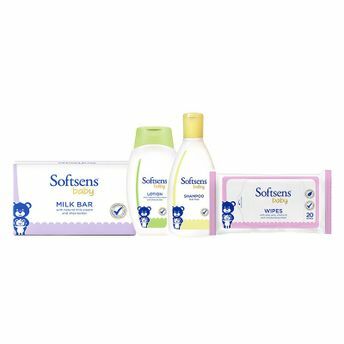 Softsens Baby Wipes provide the best care and protection for your baby's sensitive skin. They are mild and gentle, making them safe to use all over your baby's body. Enriched with moisturizing lotion and vitamin E, these extra soft cloth wipes, gently cleanse and moisturize delicate skin, and the soothing Aloe Vera extracts keep the skin cool. Softsens Baby Wipes can be used to clean the entire body. They're so versatile, you can use them on anything from messy hands and damp bottoms to sticky baby toys, pacifiers and even for cleaning surfaces around the house.